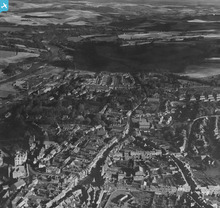 About the group This was a Britain from Above Community project with young people in Selkirk, Scottish Borders to investigate the history of their town. [SAW019773] Selkirk, general view, showing Hillside Terrace and Victoria Park. An oblique aerial photograph taken facing north-west. This image has been produced from a print. 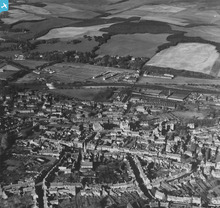 [SAW019772] Selkirk, general view, showing High Street and Victoria Park. An oblique aerial photograph taken facing north-west. This image has been produced from a print. 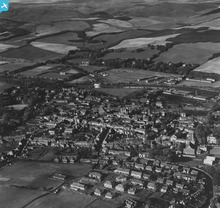 [SAW019771] Selkirk, general view, showing High Street and Elm Park. An oblique aerial photograph taken facing north-east. This image has been produced from a print.